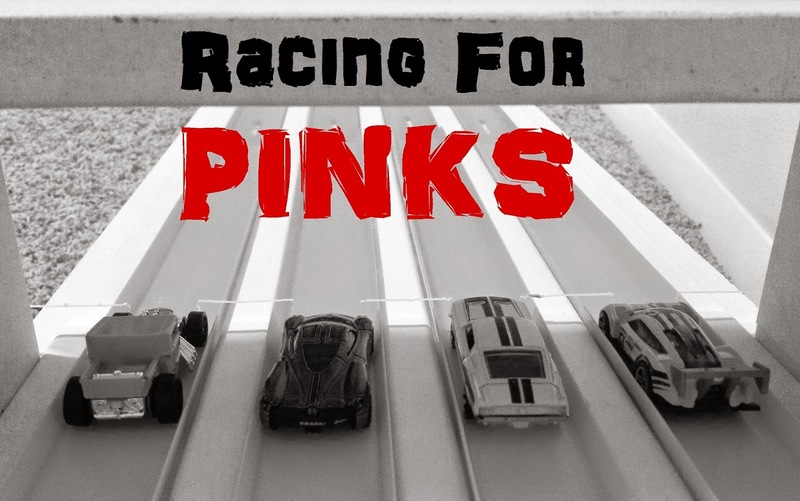 Racing for pinks is a race where the winner of the race gets all the cars entered in the race. Only stock cars are allowed. Stock cars are cars that have not been modified in any way. Limit of 2 cars per person. The four lane color country speedway will be used for this race. It will be 18 feet with a start height of 30 inches. The race format will be a point elimination race. Points are accumulated after each race. First place gets 0 points, second place 1 point, third place 2 points, fourth place gets 3 points. A car is eliminated when 8 points are accumulated. 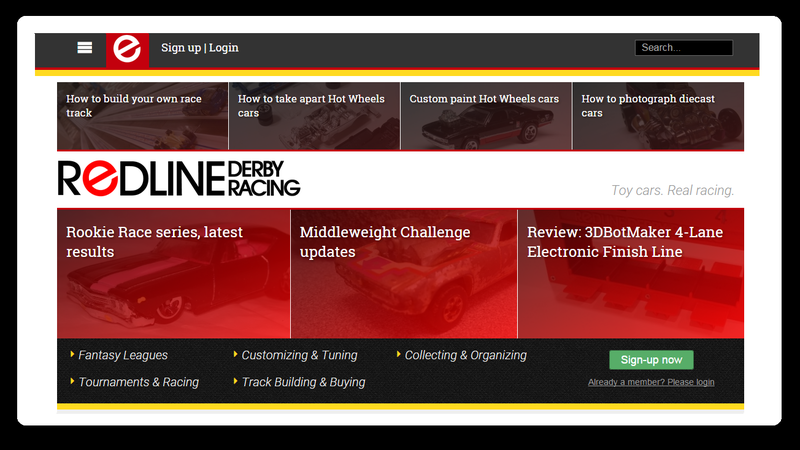 This ensures that each car will race at least three times. The race winner is the last car that has not been eliminated. 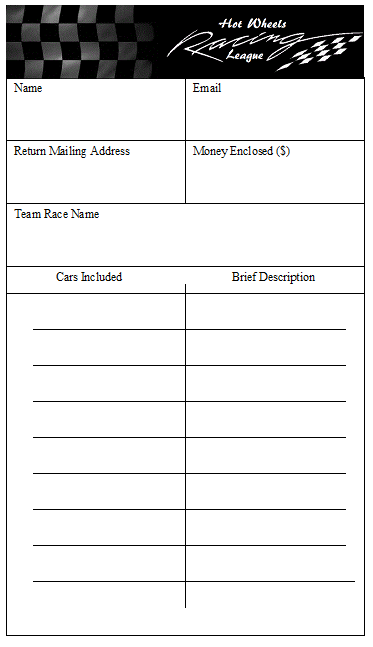 A $1 donation to help with shipping all the cars to the winner would be appreciated but not required. A bracket tournament where the loser of each race is immediately eliminated and the winner moves on to face other winners until all cars are eliminated but the winner. A bracket tournament where cars are eliminated after two losses. Races continue until all cars are eliminated but the winner. Points are accumulated after each race. First place gets 0 points, second place 1 point, third place 2 points, etc. A car is eliminated when the defined point level is accumulated. The number of points for elimination will be determined by the number of cars in the race and the particular track being used. The race winner is the last car that has not been eliminated. 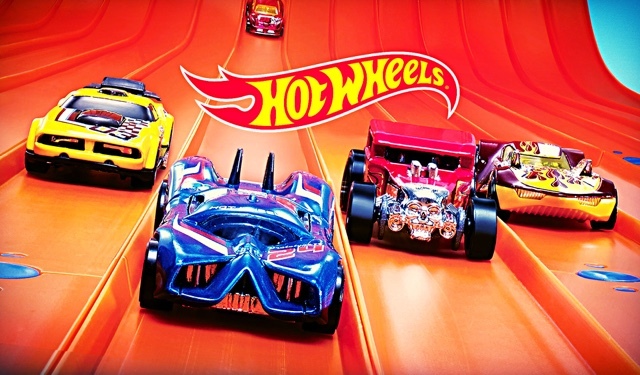 Each car races once in each lane and is timed. The times are averaged together. Fastest car wins. If there are more than two lanes, the slowest time is thrown out before the times are averaged.